Once Jeff Bezos said: ‘A brand for a company is like a reputation for a person. You earn reputation by trying to do hard things well.’ Without a doubt, these wise words clearly describe the structure of modern business. As you can see, these days there are a lot of strikingly-colored projects that offer various products and services. Actually, there will always be something for any business type. That is why you have to stand out from the crowd if you want your deal to be popular. How can you do it? Well, for these simple reasons, we wrote this post. To make a long story short, it will tell you how to draw your marketing plan presentation in 8 steps. To say more, we will also showcase you a couple of top-level PPT template examples and there’ll be awesome free PPT templates for you too! Shortly, each and every ppt template is quite easy in use, so you don’t need to have special skills. Are you ready to impress audience? More and more designers create beautiful professional PowerPoint templates for any business and specific niches. Both free and premium solutions are presented on the market. So, what’s the difference between free PPT templates and paid designs? First of all, the quality may vary. Feee PowerPoint templates may not include images and icons, so that you need to surf the web and find the most appropriate graphics yourself. PPT templates free download is not always free, because you only get a short version of the theme, while a complete presentation will cost you extra money. One of the main things is the quantity of slides. Free PPT templates may include about 20 unique designs, while premium presentations consist of 100+. One more free PPT template is waiting for you at end of this article. Keep reading! Step 1 to draw your marketing plan presentation: what are you good at? As it has already been said, today’s market is full of the attention-grabbing projects and presentations. Still, buck it because this point is pretty positive. Before all else, think about your deal. Basically, all you need to do it to find multiple ways of seeing. How you can create a persuasive presentation that sells your business? How do you think what are you good at? Is your business beneficial enough to attract new customers? What are the main advantages of using your services? During this process, don’t forget that every detail matters. For example, you have delicious coffee in the waiting room or free parking for your clients. In this case, don’t hesitate to mention all of these. Talking about the technical side of your business, now you should take a closer look at your best-sellers. The task is to find the common features to realize why people prefer exactly these products. Needless to say, the answer will show your pluses. Actually, you can ask your clients to leave their opinions online but we will discuss it a little bit later. To sum everything up, would you use your own services if you were a customer? Are you sure that you have an audience that will buy your goods or use the services of your company? Finally, is your deal qualitative and trustworthy enough to be popular? Did you miss anything? In the end, there is always some room to improve. Thus, it is important to see the disadvantages of your business, as it is the only way to fix them. All these things will help one to present their business in all its glory using the mentioned free ppt templates. To start with, knowing who your potential clients are is a vital aspect. It is not a secret that comfort makes a half of success. To say more, comfort is what makes people want to come back again and again. Therefore, you should do your best to know the needs of your target customers. Who are these people? How old are they? Where do they live? What are their budgets? What are they expecting from your services? Just find the answers to these and other related questions. With it, you will know everything and anything about your prospects and their needs. As a result, it will help you to make the services you provide as comfortable as possible. Same to the first point, just contact your audience if you already have it. The thing is that people enjoy when their opinions matter. Thus, your clients will surely answer the questions to help you become better for them. Unquestionably, you can also showcase this information in your marketing plan presentation. Below you will see several ready-to-use powerpoint templates (ppt template). They come with multiple ready-made elements that allow you to introduce as much information as you want. Should we remind you that a smartly designed online project is a modern must-have for any winning deal? Initially, today people prefer to save their time and find the needed information online. The same thing is with shopping and other services. In fact, the first thing a prospect does when he/she hears about your business is googling it. That is why we recommend you to make sure that your website is a classy one. All in all, the times when creating a fashionable website was a luxury are far behind. To make a long story short, now you can set it up without using the services of pros. How is it possible? For example, these are the stylish WordPress themes. Each of these hi-res products allows you to build a worthy site just out-of-the-box. Needless to say, launching a qualitative website has a lot of benefits. To illustrate, thanks to your online project you can contact the customers via email and ask how you can improve your business. What is more, there will be detailed statistics showing all the information about your visitors. 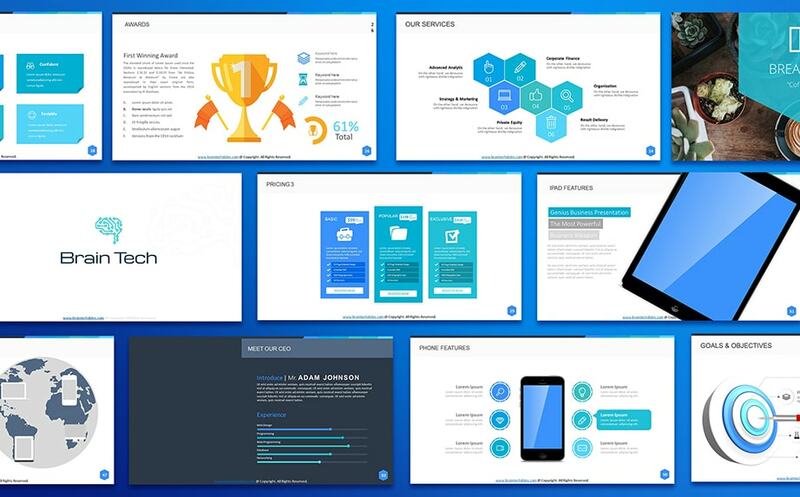 By the way, the introduced free ppt templates as well as premium slides offer you to showcase these statistics using infographics and other cool design elements. Here is a nice example of the infographics these incredible PowerPoint templates contain. Next, we recommend you to create a visually pleasing blog where you will share various news and information about updates. Without a doubt, you don’t need to run a separate online project if you already have a website. Just add the needed section to the structure of your site. Why do you need it? Shortly, a thoroughly written blog will help you to present business even after the presentation. It will be your addition to the marketing plan presentation. What is more, such things as a blog, a website, etc. can make your business look more professional. You should definitely mention them during the presentation, so people will see that you have already done a lot for your deal. By the way, don’t forget to add subscription function to your website. It will help the visitors to receive all the relevant info. At the same time, you will be able to collect the e-mails for your client base. These days social media has already become a huge part of our everyday routine. Seeing that, we recommend you to create the business accounts in all the possible and impossible social networks and be active there. Firstly, it will attract new people to your deal. Secondly, it will help you to get the feedbacks about your business. And here is the most important thing: this action allows you to provide additional information during your marketing plan presentation. That is how you can do it with the help of these ace ppt themes. As you may know, many businessmen are ready to pay good money for the unique photographs. We can’t judge them! All in all, a high-quality gallery is the thing that every business needs. That is how you will impress your audience. Finally, a groundbreaking gallery will make your business look even more professional. That is what you need for a successful marketing plan presentation, isn’t it? Well, there are so many beautiful ways you can introduce your pictures in! Thus, don’t hesitate to enrich your marketing plan presentation with a bunch of noticeable images. To draw a charming marketing plan presentation you need to know your 4 Ps. They are product, price, place, and promotion. In the end, these are the things you should highlight beforehand. What is the name of your brand? Is it attractive enough to be remembered? And what about prices? How much will you charge? Are there any bonus systems you are going to start? What are your channels? Where are you going to sell your goods/provide the services? To finish with, how are you going to spread your ideas? Here is another fresh example for you. It shows how these hip PowerPoint templates will introduce the details of your deal during a marketing plan presentation. Step 8 to draw your marketing plan presentation: find your ideal free PPT templates, get a unique logo, and go ahead! To end with, we recommend you to create an inimitable logo. It should be simple, recognizable, and, obviously, unique. Basically, it will be the thing people associate your business with. Given these points, you can see that you certainly need to do your best and get a remarkable logo for your company. Some of the free PPT templates provide creative logo designs so that you can use them or customize a little bit for your brand guidelines. 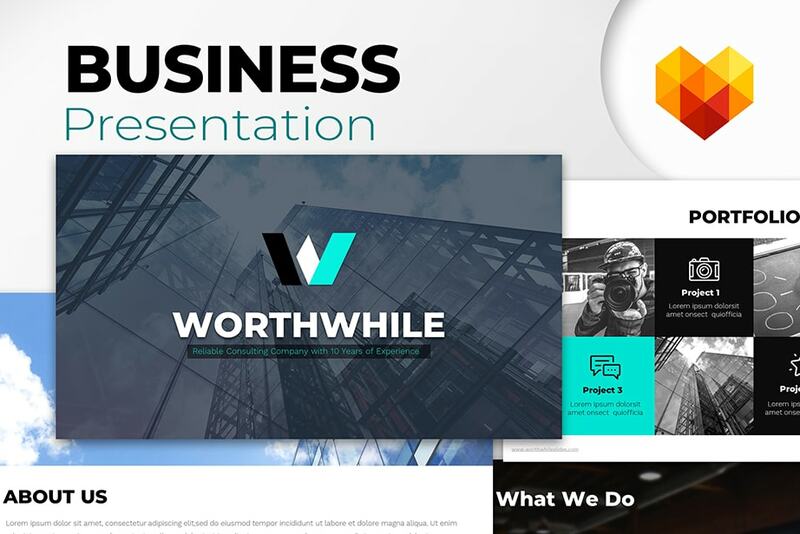 Download the second of free PowerPoint templates by MotoCMS to create a professional presentation of your business online. 85 creative slides are includes. So, for today these were all the tips we have for you. We hope that this post will help you to draw a stunning marketing plan presentation. Would you like to see more pre-packed ppt templates? Don’t miss the boat!